The genesis of FLIR Systems&apos; purchase of Raymarine can be traced to a foggy night about seven or eight years ago, according to FLIR president and CEO Earl Lewis. Lewis was boating with his son when he realized it would have been helpful to have an infrared camera on board to help guide him. 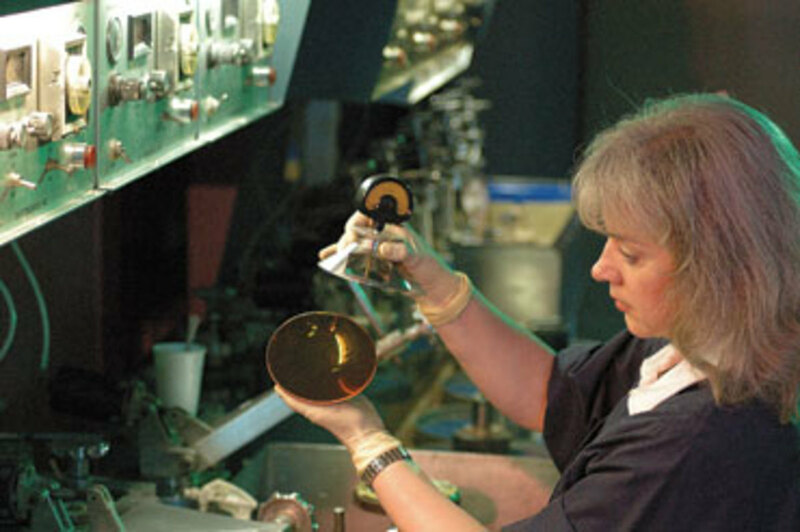 FLIR&apos;s infrared technology was mostly used for commercial or military applications, but the experience eventually led to development of a line of infrared cameras for recreational marine use. "That business has done extremely well," Lewis says. "We&apos;ve been sort of going it alone, trying to find dealers and get OEMs on board, and we&apos;ve been very successful, but we&apos;re nowhere near the penetration that we think infrared could have in the market if it was integrated into a system or it was distributed through a very large marine electronics company." And that eventually led to FLIR&apos;s interest in and eventual purchase of Raymarine. Portland, Ore.-based FLIR Systems announced in mid-May that it had entered into an agreement with the administrator of Raymarine plc to acquire all outstanding shares of its wholly owned subsidiary, Raymarine Holdings Ltd. The transaction value of approximately $180 million includes repayment of all of Raymarine&apos;s indebtedness and approximately $24 million in proceeds to Raymarine plc, which is equivalent to 20 pence, or approximately 29 cents, per ordinary share. The acquisition represents the entire business operations of Raymarine and its subsidiaries. "The more we thought about it, the more we thought, well, first of all it&apos;s a very good company that just sort of happens to be down on its luck because the whole industry is so bad, but their technology is very good, their market acceptance is very good," Lewis says. "We did surveys of customers and they like the products very much. We do believe strongly that we will be able to sell a lot more of our infrared cameras to boaters by having Raymarine as part of the company. "We also, in our government business, use GPS, we use radars, and we think there may be some security applications above and beyond what Raymarine is involved in today using their technology." Andy Teich, president of FLIR Commercial Systems, agrees the potential for greater use of infrared (thermal imaging) technology in the marine industry is considerable. "We believe that thermal will become an integral part of the marine electronics suite, much the way GPS, sonar and radar are today," says Teich. 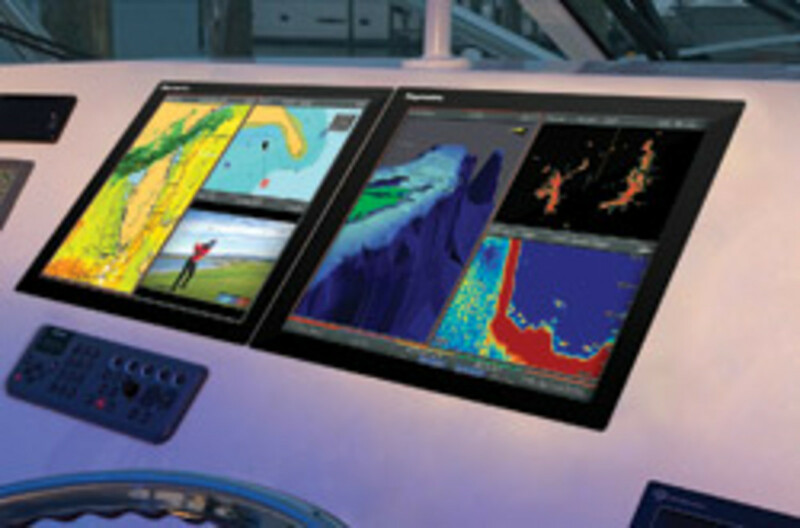 "In fact ... we believe thermal will ultimately be chosen before radar is in the pecking order of marine electronics, i.e. GPS first, sonar second, thermal third, radar fourth, etc." This, says Teich, is because "thermal is easier to use" than radar. "Turn it on and look at the picture to know what&apos;s out there is the mantra here, versus trying to interpret a blip on a radar screen," he says. "This means that the thermal sensor will be a fully integrated sensor on the marine electronics network. For the user, this will mean that there will be a &apos;thermal&apos; button on the MFD [multifunction display], and once selected, you will not only see the image but have full control over the sensor." Regarding Raymarine branding of products, "We will have a full line of products, from hand-held through fixed-mount products, spanning $3,000 to $100,000-plus products available under the Raymarine brand. These products will not only be branded Raymarine, but will fully integrate into the Raymarine suite in a plug-and-play manner," Teich says. Raymarine, the U.K.-based marine electronics manufacturer, had been looking for a buyer for some time before the sale to FLIR. Last June, the company released a statement saying it was exploring equity fund-raising or a sale of the business and in the absence of either would seek to secure additional medium-term financing with its banking group. At that time, the company said it was operating close to the "limit of its current bank facilities, in particular as a result of the effect of changes in exchange rates on Raymarine&apos;s borrowings and its facility limits." Last August, Raymarine confirmed it was in talks with Garmin and other parties about a possible sale. In December, it announced it was in "exclusive" talks with another party, and no longer in talks with Garmin. In March, Raymarine said it received a "further approach from a third party, which may or may not lead to an offer being made for the entire issue capital of Raymarine at approximately 3.6 pence per share." The following month, Raymarine confirmed it had received two further takeover approaches, including one from a direct competitor, which it said was the highest of the approaches. At that time, Raymarine officials said in a statement that the proposal from the unnamed competitor "is highly likely to be subject to an in-depth review by the competition authorities and that antitrust approval is unlikely to be secured." Also, the company said, a protracted antitrust approval process could be damaging to the company. 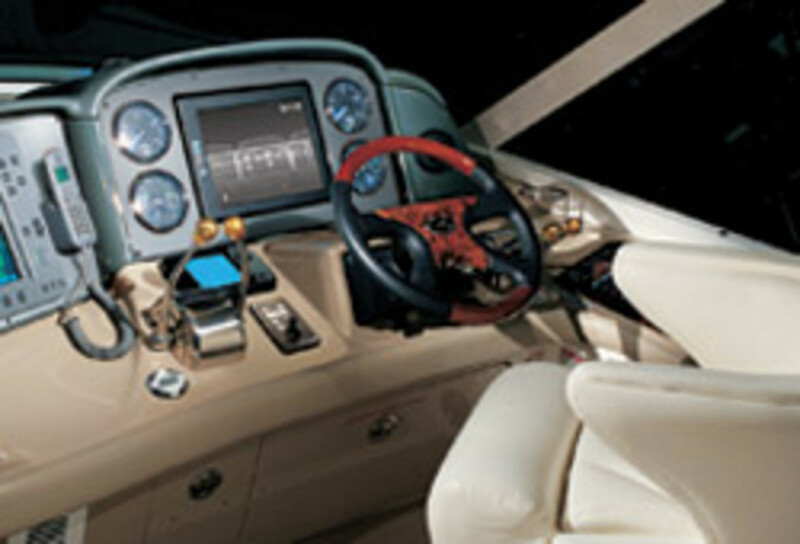 At the end of April, Garmin confirmed it had made a cash offer of 15 pence, or 23 cents, per share for Raymarine. Raymarine, in a statement, said it was urging its shareholders to "take no action" regarding the offer. On May 14, in a flurry of press releases, Raymarine first announced that the "third party" it was in negotiations with to purchase the company said it was "no longer willing to proceed with that transaction." 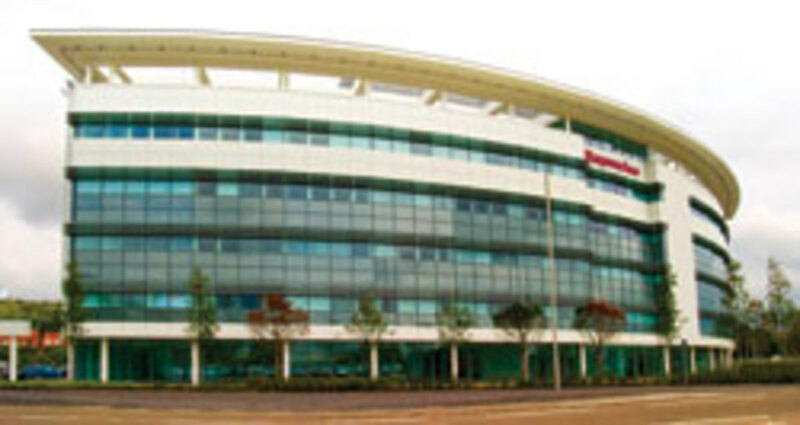 "It has, however, informed Raymarine&apos;s banking syndicate that if Raymarine were to enter into administration it would be willing to enter into a transaction with the administrator to acquire Raymarine Holdings Limited for a consideration that is likely to equate to approximately 17.5 pence (25 cents) per Raymarine share ... in addition to providing for the repayment of the Raymarine group&apos;s banking facilities," Raymarine said in a statement. A short while later, Raymarine announced that its banking syndicate had informed the company it was unwilling to grant a further waiver of its current non-compliance with its covenants and an administrator was appointed. Within an hour or so of that announcement, FLIR said it had an agreement with the Raymarine plc administrator to acquire all outstanding shares of its wholly owned subsidiary, Raymarine Holdings Limited. Garmin released a short statement a few days after the sale announcement, saying that based on certain conditions to Garmin&apos;s preconditional offer for Raymarine the conditions "are no longer capable of being satisfied and the preconditional offer has now lapsed." The company had no other comment about the sale. Lewis says FLIR had been an interested party since Raymarine first announced it was looking for a buyer and became active in the process in late 2009. "We had an offer we put on the table we thought was fair, and actually the board got us to increase that a little bit and actually so did the administrator," he says. "Through that process we did raise our ante, but we weren&apos;t looking at it to beat somebody or anything else. We had a target price in mind that we said we&apos;d pay, internally. We offered that and they felt that ours was the best deal." The acquisition represents the entire business operations of Raymarine and its subsidiaries. FLIR says it anticipates the transaction will be neutral to 2010 earnings, excluding one-time charges, and accretive in subsequent years. Portland, Ore.-based FLIR reported positive results in its first-quarter earnings statement, released April 23. Revenue for the period was $287.3 million, up 6 percent compared to the first quarter of 2009. Net income for the quarter was $55.9 million, or 35 cents per diluted share, compared with $54.3 million, or 35 cents per diluted share, for the first quarter of 2009. In its outlook for 2010, FLIR reported expected revenue of $1.2 billion to $1.3 billion for the year, an increase of 9 percent over 2009. Lewis says FLIR has no plans for major changes at Raymarine, such as shutting down facilities or laying off employees. FLIR is sending one of its executives to the U.K. for at least the next two years to look after operations. "We have acquired a number of companies, and all of them still exist where we acquired them. We&apos;ve acquired at least 10 or 12 companies since I&apos;ve been here, and they&apos;re all in exactly the same place they were," Lewis says. "We, within FLIR, have been looking at how we brand-name our products over the long run as part of a natural growth of our company, but as of right now we have no intention of changing the Raymarine name," he says. The two companies don&apos;t have competing products, so downsizing of employee ranks is not expected. "We need to understand the business a lot more before we change it much," Lewis says, adding that FLIR plans to honor existing contracts with Raymarine&apos;s suppliers and vendors. "Clearly, I&apos;m sure customers and suppliers both have been very worried about the business and what was going to happen to it, and so just by clearing up all those issues it will perform better," he says. Other than the addition of infrared technology to Raymarine&apos;s lines, Lewis doesn&apos;t anticipate many changes in the company&apos;s offerings. "We sure hope we can make them better, but all our due diligence said that they&apos;re pretty good right now. In fact, they&apos;re very good right now," he says. "They did a remarkable job keeping that going as well as they did given the financial difficulties they had. I&apos;m amazed they&apos;ve continued to invest as much money as they did in R&D and continue to bring out as many good, new products as they have, considering they were up against these difficult financial issues."